Product Love: Kate Quinn Organics + A Giveaway! You probably already know that I'm huge Kate Quinn Organics fan, both Jack and Dylan have worn the brand for a while and I love to share with my readers every time they have sales - and trust me, their sales are killer! I love their modern designs, colors and patterns but most of all, I love the the quality and fit of their soft organic cotton products. With products ranging from 0-3 months all the way up to 8 years old, KQO offers adorable clothing and accessories for all the little ones in your life. 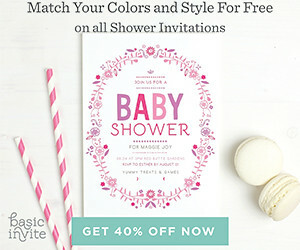 If you are looking for newborn or baby shower gifts, look no further! Available in an array of prints and colors, Kate Quinn offers lovely girl, boy and gender neutral gift sets made from the softest 100% organic cotton. The Snuggle Baby Set below comes delicately bundled in a custom gift box and features a classic infant sacque, knot hat and receiving blanket. HOW TO ENTER Simply follow the instructions below to enter this giveaway using Rafflecopter – it’s easy! You can enter daily by tweeting about the giveaway. Giveaway ends on Monday, August 24th at midnight. Open worldwide. I love the FLUTTER SLEEVE BALLET DRESS | PEONY! So cute! I love the SCALLOP SHORTIE JUMPSUIT | CARNATION! Its adorable! I love the nouveau play set! What beautiful patters and colors! I like the LONG SLEEVE KIMONO BODYSUIT | PEONY. I like the elephant rattle! Absolutely love their Short sleeve cowboy jumpsuite (skye) for my baby boy . so cute! Gaaaah its all so awesome!!! I think the footies are my favorite babies always look so sweet and snuggly in footie jammies!!! This is probably my favorite print...and a matching hat...omg its too much! Love the pj and newborn sets I'm in love!!! I love the snuggle set in flora and fauna! I am completely in love with the Giraffe Footie. Kate Quinn makes fantastic clothing. I love the long sleeve kimono bodysuits. French clover and tree are my favorites. I like the seahorse crib skirt. So pretty! i love the matching onesies and hats!!! All their products are adorable! I really love the dresses :) Thank you for the giveaway! The Seahorse receiving blanket is adorable, as are all of their clothes. This may be the cutest thing I have ever seen!! Omg everything. Printed pocket dress, ruffle tier dress, puff sleeve lounge dress. All of it. I love the Long Sleeve Kimono Bodysuit in Nouveau.